Ancient Dungeons: Forgotten Depths | Create Your Own Game! An upbeat town theme and four creepy dungeon tracks are the perfect backdrop for subterranean exploring! Gather your party and venture forth, leaving the tavern behind as you descend into the ancient catacombs and dark halls under the earth's crust! Composer Joel Steudler brings you four atmospheric dungeon tracks will give a spooky and subtle ambience to long abandoned places and stygian chambers. When you've tired of the dark and dreary, an upbeat tavern theme rounds out this small but potent music pack. Look out below! 4 BGM tracks for dungeons and one tavern theme! 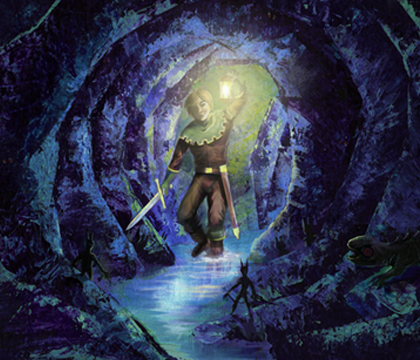 BONUS CONTENT includes one more eerie accompaniment for going Into the Underdark.